Mr. Duffy is a bank cashier and recluse living in Dublin, who purposely avoids contact with other people—until he meets Mrs. Sinico at a concert. While Mr. Sinico believes their relationship to be purely platonic, Mrs. Sinico indicates otherwise. James Augustine Aloysius Joyce was born in Dublin in 1882. One of the most influential writers of the 20th Century, Joyce's life was punctuated by poverty, critical controversy and self-imposed exile. 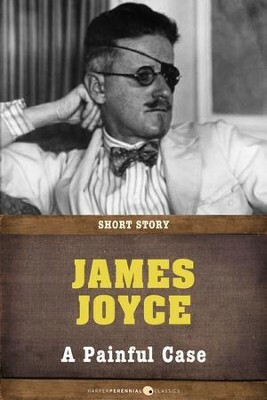 Joyce was one of the pioneering figures of modernism and counted W.B. Yeats and Ezra Pound amongst his earliest supporters. Before his death in 1941, Joyce had published Ulysses, Finnegan's Wake, A Portrait of the Artist as a Young Man and Dubliners; works that today are recognized as amongst the greatest achievements in literature. I'm the author/artist and I want to review A Painful Case: Short Story - eBook.